, we’re more than familiar with the limits of physical space. As a nonprofit, it can be difficult to find access to great spaces for video production, especially when time, location, and money are constraining factors. As a result, space often becomes limiting, rather than limitless, to producing great content on YouTube. From LA to London, Tokyo to Mumbai, Berlin to São Paulo, YouTube Spaces empower nonprofits by providing them exclusive access to the best production resources around—all at no cost. All enrolled nonprofits with 1,000 or more subscribers are now eligible to apply for production access at YouTube Spaces. But we’re also offering more than just physical space. In addition to our state-of-the-art production facilities, YouTube Spaces brings together creatives of all stripes. YouTube Spaces offers nonprofits opportunities to learn new skills through live workshops, as well as collaborate with the YouTube community through events, panels, screenings, and more! Don’t know where to begin? Once enrolled in and approved by YouTube for Nonprofits, start with theYouTube Creator Academy. From there, nonprofits can take advantage of the workshops offered by YouTube Spaces to establish a successful foundation on the platform. From lessons on building your channel to learning physical production, these workshops will help your nonprofit define its strategy and engage subscribers. Then, it’s time to get the cameras rolling! Get out of your garage, and get ready to create something amazing. After all, spaces are not just about where we we work -- it’s about what we create there. We know that having a physical space to do your work matters, but it’s not just about where you work -- it’s about what you create there. So today, we’re announcing special access to YouTube Spaces, YouTube’s global network of production studios, for eligible nonprofits to learn, connect, and create great content for YouTube. Given that Google was started in a garage, we’re more than familiar with the limits of physical space. As a nonprofit, it can be difficult to find access to great spaces for video production, especially when time, location, and money are constraining factors. As a result, space often becomes limiting, rather than limitless, to producing great content on YouTube. When athletes from around the world come together, some of them compete for the glory of winning. When the 6,500 athletes from across the globe competed at the 2015 Special Olympics World Games, they were playing for so much more -- acceptance and inclusion of people with intellectual disabilities. In order to bring together thousands of athletes, tens of thousands of volunteers, half a million spectators, and tens of millions of dollars in donations, the World Games Organizing Committee had a herculean task ahead of them. They needed technology that could keep up with their ambitious goals. Growing an audience for the World Games was paramount. With Google Ad Grants to run an AdWords campaign and Google Analytics to track behavior on their site, they were able to get their message in front of millions of people. Instead of flying around the world to train their many volunteers, they relied on Google Hangouts to efficiently and cost-effectively spread their knowledge. Twenty-five different sporting events means a lot of things to keep track of. They used Google Sheets to ensured everyone stayed on the same page and Google Sites to publicize the transportation schedule. 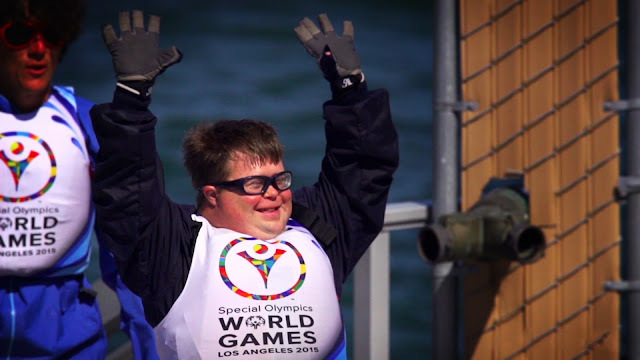 As Patrick McClenahan, President & CEO of the 2015 Special Olympics World Games says, “When people are educated, inspired and engaged, hearts and minds are changed.” Carrying their message further means a more inclusive world for us all. Watch members of the World Games explain how they used Google tools here. Which role does technology play in Bella Communities ? Google Apps was vital to the deployment of this program - we never would’ve been able to do it without that! It allowed us to manage workflow, and most importantly, it allowed us to gather, collect, and share data to build a case for supporting our program. Two years ago, we met Jessica Ryan -- a woman whose mission is rooted in two seemingly unique spheres: celebrating live theatre and helping survivors of interpersonal violence. Jessica founded the Broadway Unlocked #giveback concert, a livestream, interactive benefit concert aimed at connecting the two communities and helping raise awareness and donations for the Crime Victims Treatment Center (CVTC). The CVTC, New York State’s largest and most comprehensive hospital-based victim assistance program, provides therapy and services to survivors of assault, abuse and violence. All treatments at CVTC are free.